Learn about the annual UC San Diego Women's Conference. Keynote speaker: We were honored to have Dr. Elizabeth H. Simmons, the Executive Vice Chancellor for Academic Affairs at the University of California San Diego. Get Involved - Be Prepared - Make a Change! Watch online: Watch the live feed of the conference. 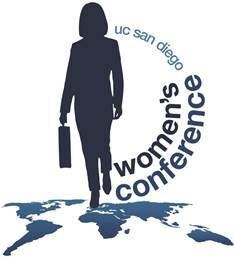 The UC San Diego Women’s Conference brings together business professionals, healthcare providers, scientists and award-winning faculty to share ideas on motivating today’s working woman, offering tips on empowering one’s self, budgeting and finances, and staying fit, healthy and well-balanced. The all-day conference is free for all UC San Diego faculty, post docs, staff and students. It's a powerful event that features a noted keynote speaker, breakfast, a full roster of exhibitors catering to women, and breakout sessions that offer practical, relevant advice and tools to help you navigate through your personal and professional journey. For general inquiries, please email EmpowerYou@ucsd.edu.